The first Deadpool was pretty funny. Ryan Reynolds lived up to the part and they found a good formula with an R-Rated superhero movie with lots of humor. And while a lot of people liked Deadpool 2, I actually thought is was better than the first one. More humor, more superheroes, and the addition of Josh Brolin…yeah, I was a happy camper. To up their game, Deadpool 2 raises the stakes by bringing in X-Force. The funny thing is, there’s actually two X-Force teams in this movie. Deadpool continues to crack jokes at Wolverine, now poking fun at Logan, and there’s jokes about the lack of A-list X-Men. They break the third wall, they get violent, there’s crude humor, there’s just plain funny humor, and for anyone who has seen The Hunt for the Wilderpeople, Julian Dennison plays Fire Fist. From beginning to end, it’s just fun, fun, fun. Josh Brolin knocks it out of the park as Cable, and Zazie Beetz is a surprise hit as Domino. 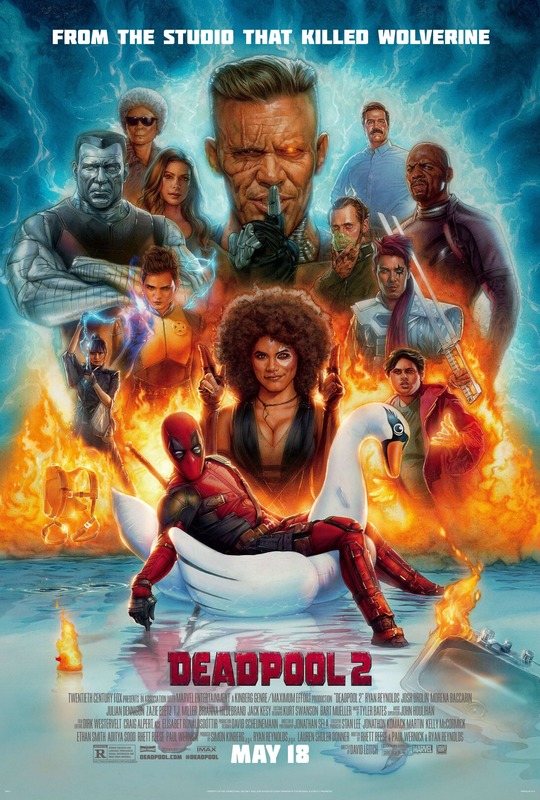 So if you haven’t check it out yet, and you don’t mind rated R movies, give Deadpool 2 a shot. It’s a different kind of superhero movie, and a great way to spend 2 hours. I give it a five out of five metal bikinis. Like most Marvel movies, there are some additional scenes during the credits, and Deadpool has some of the best ones yet. However, there is no scene at the very end. Instead, there’s a surprise song that’s pretty funny.